This book has a simple intent. In September 2014, primary schools in England will be expected to adopt a new national curriculum. There is good time to prepare. At this point of curriculum change and development in England's schools, the contributors offer their considered reflections on how primary schools across the country might take forward and shape their own curriculum framework for pupils. The spirit of the book is, based on considerable leadership experience in schools, letting-a-thousand-flowers-bloom rather than recommending a one-size-fits-all approach. 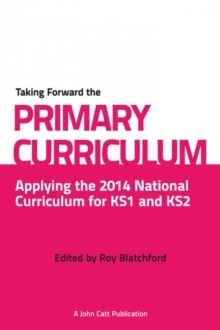 This book does not set out to analyse the content of the 2014 Primary Curriculum, nor to present ways in which individual schools should plan their schemes of work and weekly or monthly planning. That is rightly the province of each school, learning from and sharing best practice with others. Rather, the contributors to this book present underpinning values, ideas and approaches to successful curriculum planning, rooted in many years of leading and working in schools. Their reflections come from varying perspectives: teachers, headteachers, directors of foundations and leading thinkers on education, each of whom is involved in the work of the National Education Trust (www.nationaleducationtrust.net), an independent charitable foundation which champions best practice.